Veteran auto dealership executive Rob Schweizer moved from Dallas to Las Vegas three months ago to help build Park Place Infiniti’s brand. The dealership’s new general manager said he is in it for the long run and is in the process of buying a home on the west side of the valley. Schweizer, a Texas native, said he started in the auto sales industry in 1983 at a Toyota dealership in Dallas, where he bought his wife a car. 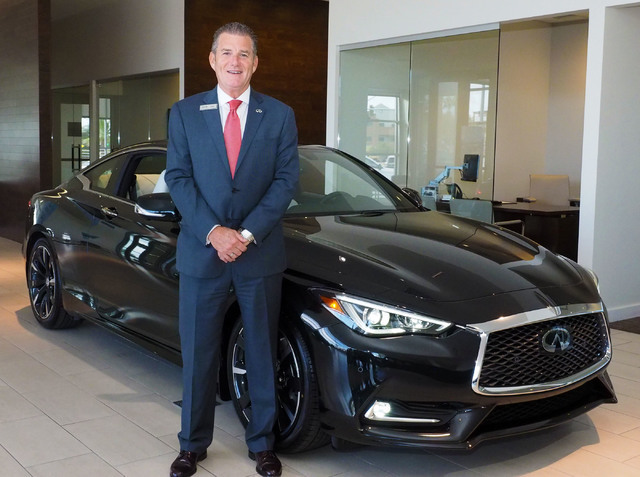 Over the years, he worked at several Dallas dealerships before taking a position as the pre-owned director for Park Place Lexus in Plano, Texas, where he stayed for 19 years and won numerous awards, including the Malcolm Baldrige Award in 2005. 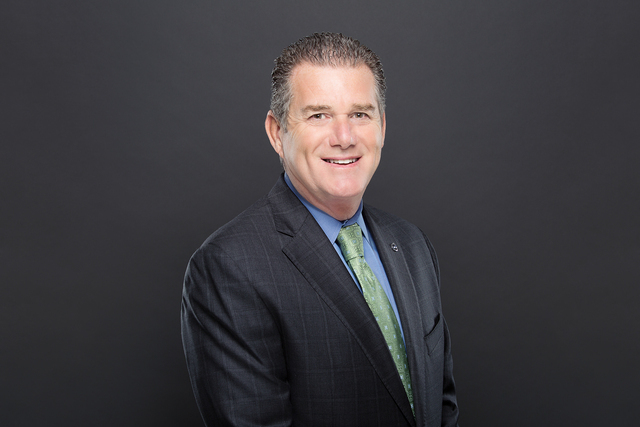 He retired in 2007 and came back a year later to work for Plark Place Mercedes in Dallas and then as GM of the Park Place Volvo dealership, which he took to a Top 10 ranking nationally, winning Volvo President’s Club Award several times. Park Place Dealerships purchased the 5555 W. Sahara Ave. Infiniti dealership in 2012. Two years later, the Texas-based company invested millions to renovate the building. This year, it is doing more work on the 6-acre property. Construction is expected to be completed in mid-October. Park Place Dealerships represents luxury brands including Lexus, Mercedes-Benz, Porsche, Volvo, Jaguar, Rolls-Royce, Bentley, McLaren, Maserati, Lotus and smart. Q: As the new Park Place Infiniti general manager, what do you see as your biggest challenges in marketing your brand to Las Vegas? A: Getting Las Vegas to really understand Park Place. To let them know what Park Place Infiniti really is. It’s like no other car experience you have ever had before. We want to make Infiniti a highly sought-after consideration. Q: What is the fastest-growing side of the business? A: I think the pre-owned (car market) is the biggest opportunity for growth because the value of the certification program is so well-known. Infiniti has one of the best certification programs there is. Q: How is the Las Vegas auto dealership growth compared to other U.S. markets? A: Off the data I have seen from here year over year, I think it’s growing just as fast as Dallas. Q: Is the demand for luxury cars increasing? A: Yes, I agree the luxury market is growing. Because expectations of the consumer are also growing, I think it is definitely going to grow. Clients’ expectations will grow as well. I have to train and coach my members to stay on top of clients’ expectations. We have to find out what we are going to wow them with next. Q: Where do you see the Las Vegas market heading? A: I don’t see anything but positive.